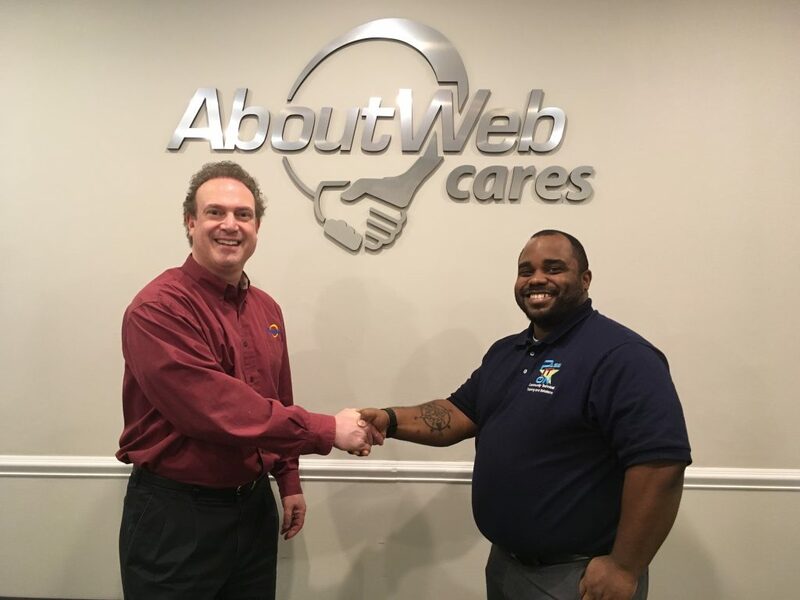 1/18/19 (Baltimore, MD) – AboutWeb Cares is pleased to announce a new partnership with Pass IT On, a non-profit organization in Maryland whose mission is to eliminate the technology skills gap experienced by youth and adults in disadvantaged communities. Founded by Senior Systems Analyst and IT professional Willie Sanders in 2006, Pass IT On focuses on youth training and outreach, internships, and workforce development. Additionally, the program provides access to CompTIA certification and training opportunities to its students. “The mission of AboutWeb Cares and Pass IT On are in alignment, and through this partnership we plan to enrich one another’s programs and help increase exposure to the IT field for people from economic opportunity zones,” said Robert Epstein, President & CEO of AboutWeb. AboutWeb Cares is an award-winning social enterprise division of the IT consulting company, AboutWeb, providing paid IT job training, free Microsoft and Google certification, and professional attire to people from economic empowerment zones. Last year, AboutWeb was awarded the highly-coveted 2018 “Corporate Citizen of the Year” award by the National HUBZone Contractors Council for our excellence with this program. AboutWeb has been a leading provider of cybersecurity and secure application development since 1998, providing excellence in IT consulting and solutions to federal agencies, commercial entities, and commercial clients. We are an NVTC 2018 “Tech 100” company and an honoree on the 2018 Greater Washington i-LIST for companies leading the way in innovation.